• Cutters and laminators, trim framing system, cutter/router, sewing machine, grommet press and other technology needed to produce professional results of the highest quality. • Experience. Over more than 35 years serving the Charlotte, North Carolina, community, Boingo has established a reputation for quality and service built on a deep understanding of customers' needs as well as printing technology. • Dedicated account managers. Every Boingo client works with an account manager who takes personal responsibility for the project. • Creative services. 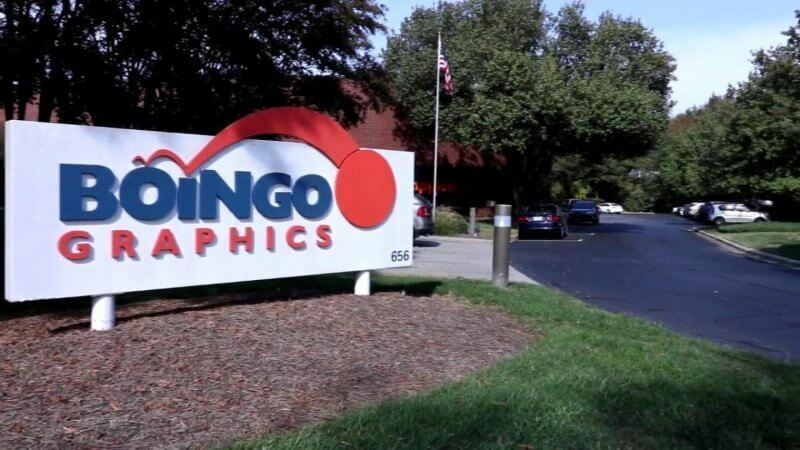 Long before you display your banner, sign or floor graphic, Boingo helps you shape your message and develop the most compelling design. • Innovation. Boingo uses the expertise of highly experienced technicians to find innovative solutions for your project. When other printers say it can’t be done, Boingo takes it as a challenge. • On-time delivery. Do you need your booth graphic as soon as possible? Boingo’s goal is to redefine possible. • State-of-the-art facilities. A 24,000-square-foot facility provides the space to take your project from concept through completion most efficiently.